Ready your standing-in-line muscles — the schedule for the first day of Comic-Con 2017 has been released, including the big film panels set for the San Diego Convention Center’s Hall H.
The big news for fans is that 20th Century Fox is returning to Hall H after skipping Comic-Con entirely last year. Fox will kick off the 5-day festival’s film panels with an hour long Hall H presentation starting at 11:30 A.M. on July 20. The exact rundown hasn’t been made public, but with a huge slate of Marvel-branded movies on the horizon, there’s plenty of likely candidates. Fox’s upcoming releases includes films such as “Deadpool 2,” “X-Men: Dark Phoenix” and “The New Mutants,” “The Predator,” “Alita: Battle Angel,” “Maze Runner: The Death Cure” and a slew of “Avatar” sequels. But you’ll have to make it to San Diego to find out which will be shown. Just don’t bring your camera. 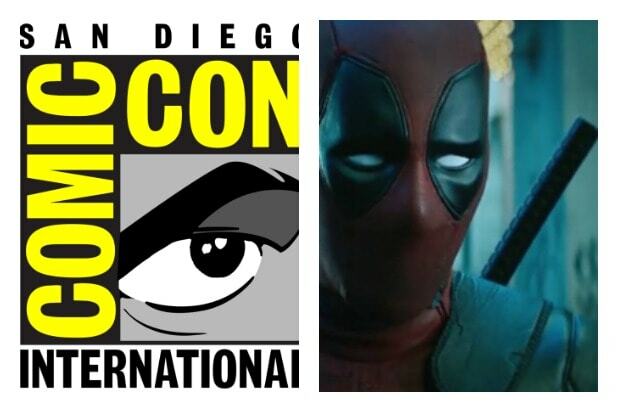 Fox skipped Comic-Con 2016 as a result of piracy concerns due to the fact that their Comic-Con exclusive trailers for “Deadpool” and “X-Men: Apocalypse” both leaked online shortly after a packed Hall H panel in 2015. Meanwhile Sony Pictures Classics is bringing its Sundance acquisition “Brisby Bear” for the Hall H crowd at 12:45pm. Netflix is also invading Hall H with a 3:15 P.M. panel showcasing “Bright” and its adaptation of the Japanese manga “Death Note.” “Bright” Director David Ayer and stars Will Smith, Joel Edgerton, Noomi Rapace, Lucy Fry and Edgar Ramirez will be on hand for the Max Landis-penned sci-fi film. “Death Note” Director Adam Wingard and stars Nat Wolff, Margaret Qualley and LaKeith Stanfield will be on hand. But if you can’t make it into Hall H, you’re not completely out of luck. DC Entertainment President and Chief Creative Officer Geoff Johns headlines his own panel at 3:15 inside Room 6DE. Comic-Con 2017 starts Thursday, July 20 and lasts through Sunday, July 23.